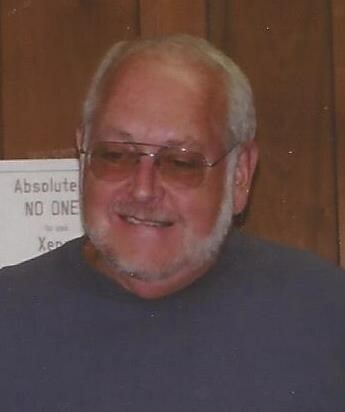 David Garald Teeter, 76 of Rupert passed away Friday, August 31, 2018 at Portneuf Medical Center. He was born July 26, 1942 in Gooding, Idaho and has lived in Rupert, Idaho since 1951. David was a former Minidoka County Commission from 2000-2004 and the owner of Teeter Auto Wrecking and Towing. He was also one of the founding member of the Snake River Scuba Diving and Search and Rescue, and a lifetime member of the Rupert Elks. He was also a member of the Car Club - Mini-Cassia Auto Collectors, Coin Club, Pistol Club, ATF Club and was on the Board of Directors for the Minidoka Historical Society, Car & Antique Collector and Rupert Police Reserve for 20+ years. David is survived by his life partner Mary Donald, son Greg Teeter, Daughter in Law Kelli Teeter, and Granddaughters Megan and Hailey Teeter. He is preceded in death by his father Hurley Teeter and Mother Lois Teeter. Funeral services will be held 10:00 a.m. Saturday, September 8, 2018 at Hansen Mortuary. A reception will be held immediately following at the Rupert Elks Club. Services are under the direction of Joel Heward Hansen Mortuary. In lieu of flowers donations may be made to the Minidoka Historical Society, or Minidoka Home Health and Hospice or Minidoka Memorial Hospital Doctors, Nurses and staff.